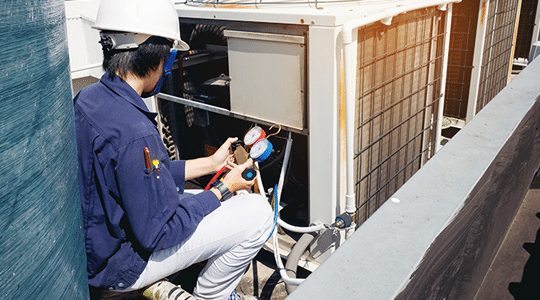 Since 1985 what started with one man, Mr. Jose Ramirez and one van has grown today to one of the largest privately owned air conditioning and home warranties companies in Florida. ECM’s team of fully licensed and trained professionals are ready to resolve all your electrical needs. 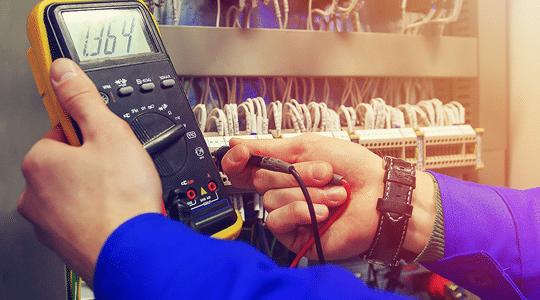 When you have an electrical issue that needs attention, you can rest assured that ECM electricians will diagnose the problem and get the job done right the first time. Do you have problems with your lights flickering on and off throughout your home? How about problems with your circuit breakers repeatedly tripping? Do you still use screw in fuses? If you can answer yes to any of those questions, you need ECM to do a FREE inspection of your home’s electrical system. 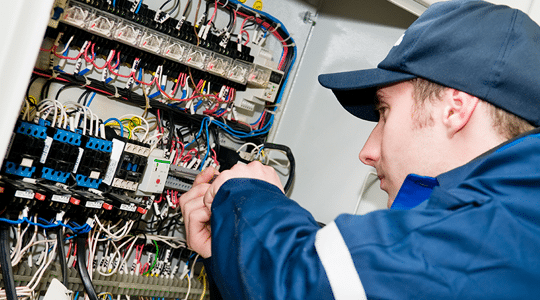 We can change out your home’s main electrical panel or make repairs needed to keep your electrical panel in good working condition. Your electrical service panel can handle only so much. Older homes were not designed with today’s technology in mind. Today we enjoy microwave ovens, deep freezers, and hairdryers in every bathroom, hot tubs and central air conditioning. At a certain point, and regardless of the age of your home, your electrical service panel can be tapped to full capacity (all circuit breaker slots filled up). If you wish to add one more circuit to power a new appliance or device the only thing to do is upgrade to a larger size and higher capacity electric service panel box. Do your home renovations include new lighting fixtures? If so, call ECM and our licensed electricians can help you with recommendations for options for current or new lighting. It’s important to make sure you have the best electrical installation possible to ensure you have not only safe lighting, but lighting installed to save on your energy consumption. If you are thinking about installing ceiling fans for indoor or outdoor use, they’re the perfect solution to keep you cool in the summer and they can even keep you warm in the winter. What’s even better? An average ceiling fan running at high speed will consume less power than a 100-watt light bulb. Ceiling fans can save up to 47% on cooling costs and up to 15% on heating costs. To make things convenient, ceiling fans can also be retrofitted with an accessory remote control. Remote controls enhance the performance and operation of ceiling fans by giving you options for multiple speeds, instant “on and off” operation and a full array of options for dimming your lights. Whether you have your own business or you manage an HOA or Condo Association or other large property, ECM can help you with all your electrical needs. 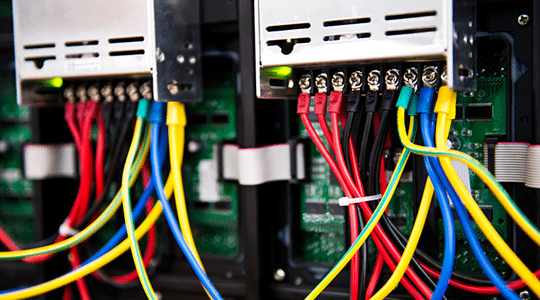 If it’s your business to keep the business or property you manage up and running 24/7, then you need ECM for all your electrical repair and service needs. At ECM, our licensed electricians know that as a business customer, customer service is your highest priority along with the safety of your customers. 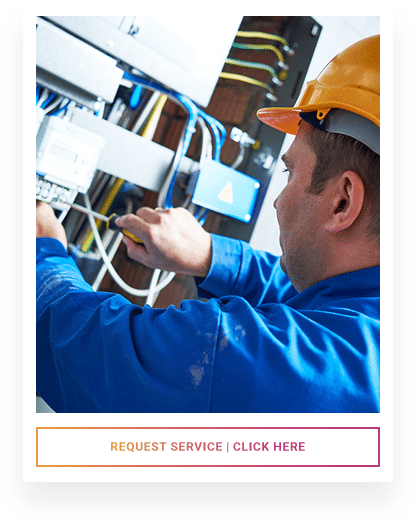 ECM is available 24/7, 365 days a year to help resolve any outages, panel issues or any electrical problems you may have day or night. Your quote includes a Free In-Home Assesment! Contact us today. 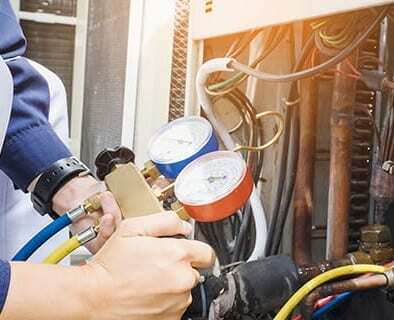 Since 1985 what started with one man - Jose Ramirez - and one van, has grown today to one of the largest privately owned AC and Home Service providers in the State of Florida with more then 200+ employees and 127 trucks.